Why did I chose Charbon Noir Cosmetics range? I have always wanted to try carbon derived teeth and skin products, but somehow the idea of putting carbon on my face did not inspire me. So I researched and found a company based in Canada which had the products that I wanted minus all the setbacks that had put me off other companies. They DO NOT use polyvinyl and other petroleum based products and instead use high quality charcoal and exfoliating ingredients. Hence, it doesn't have any reported toxicity, obviously I do not suggest you consume it as food stuff and ingest high doses of it. The product is natural, ecological and cruelty free. So finally I found the all rounder product that I wanted to put to my tests. Yes, cruelty free! Not tested on animals and even as far as all the packaging is concerned it's all environmentally friendly. 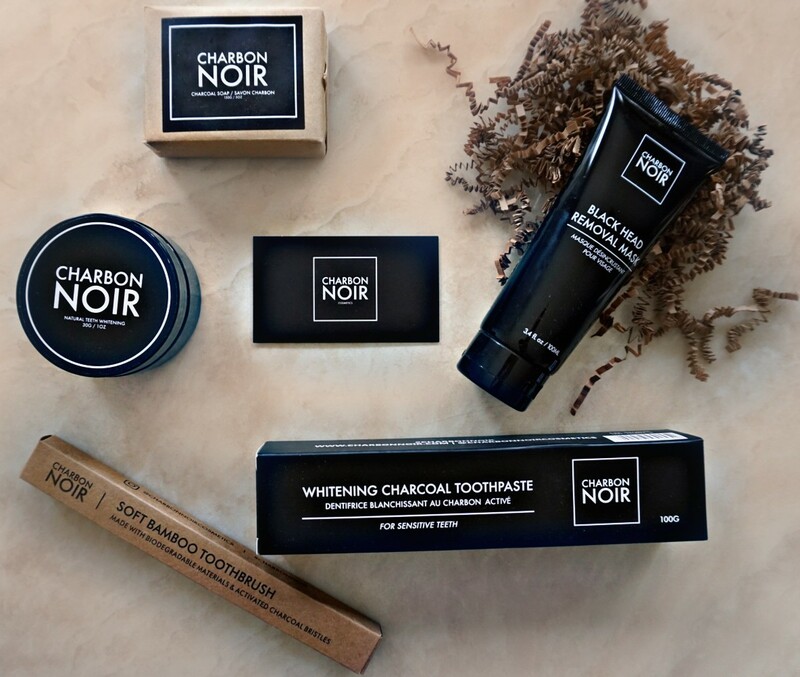 The Charbon Noir ingredients are high quality, making it a luxury product in my eyes. Professional and prompt customer service care. There's also double kits and single kits but I wanted to try all the products and ordered the two above. Note that I always tend to try products on a little bit of skin and wait 24-48h to make sure I don't develop reactions. Prep the skin with the charcoal soap, leather in the product onto the skin. Apply the blackhead removal mask on nose, forehead and chin. Leave it to dry for 25 minutes, making sure it's fully dry. Press the Bamboo toothbrush lightly in the natural teeth whitening powder. Tap the brush to remove excess powder. Brush teeth gently for 5mins. 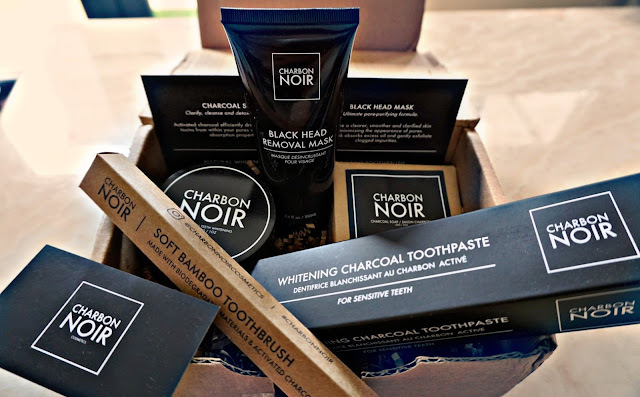 To finish it all off brush for a further 5 minutes teeth with the charcoal toothpaste for sensitive teeth (however this is optional, I rather use all the products for best results). It's a pleasure should you need further clarification let me know.